Amazon is doing “Vote for the Best Book Covers of 2009” contest HERE. They’ve narrowed it down to ten covers and you vote for the one you like best. You get a chance to win a copy of the winning book. Cool. What a great idea! In fact, I think it’s such a cool idea, that I’m going to do it over on the LDS Fiction site. 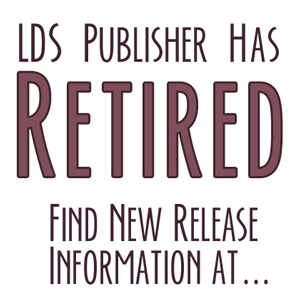 I’m going to pick the Top 10 Covers of 2009 (IMHO) from the LDS Fiction site. Then you get to vote on your favorite—and get a chance to win the winner! I’ll post the T0p 10 next Friday, so if you know of a fiction title by an LDS author that’s come out this year, and it’s not on LDS Fiction, send me an e-mail ASAP so I can consider it for the contest. Know what … I really didn't care for any of those Amazon picks. That's really too bad. Really? I loved a couple of them. I voted though for the guy with the question mark.